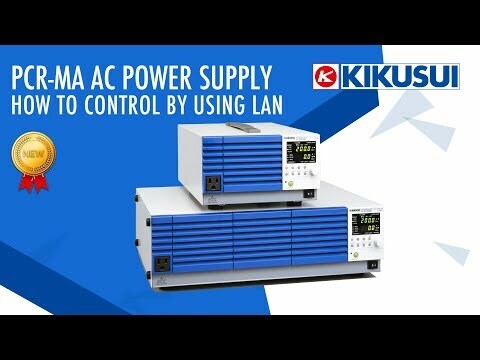 Kikusui PCR2000MA AC Power Supply / Frequency Converter. 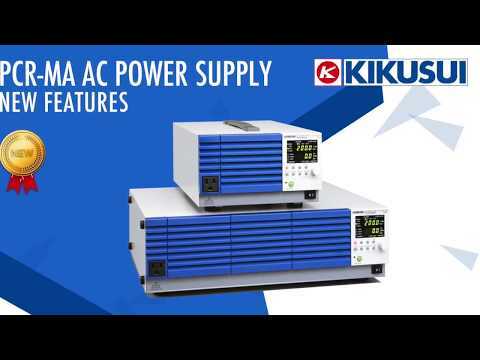 The Kikusui PCR2000MA is a 2000VA compact variable frequency AC Power Supply. 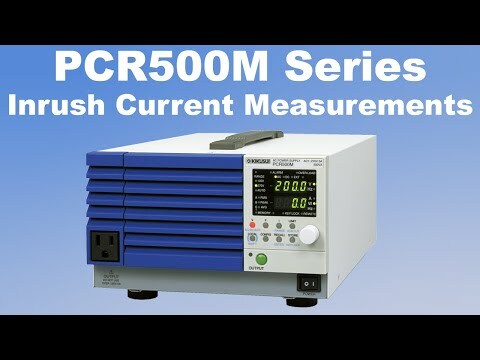 Weighing only 32kg's, the PCR2000MA is crammed full of features including AC, DC, AC+DC output and memory functions. 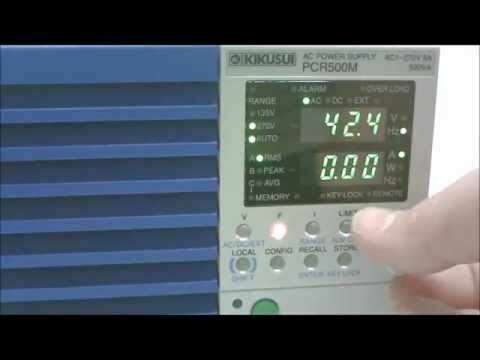 The output voltage can be set anywhere between 0-310VAC and the frequency from 40-500Hz allowing the user to easily set different worldwide output voltages, including 120V 60Hz, 230V 50Hz and 115V 400Hz for aviation applications. 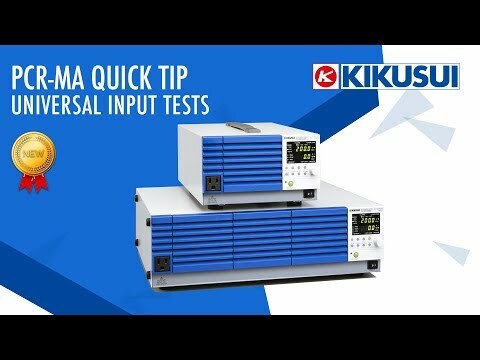 Voltage and frequency can also be adjusted when the output is on for margin testing. The PCR2000MA is equipped with a USB and LAN interface and comes complete with web browser software control as standard. Instrument Drivers are also available. ​Discontinued please see the new PLZ5W series.